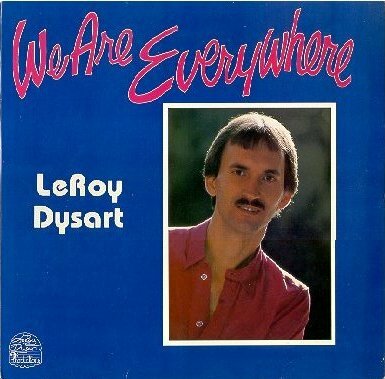 Above, the slogan from the 1979 March on Washington for Lesbian and Gay Rights, and Sgt Leonard Matlovich, two of the inspirations for the anthem "We Are Everywhere," written by LeRoy Dysart. 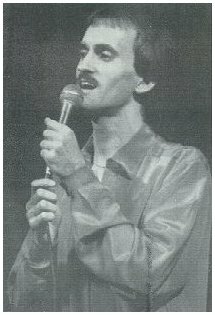 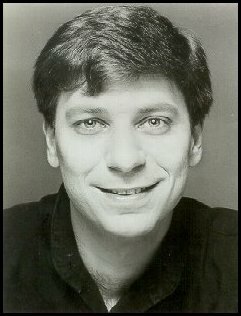 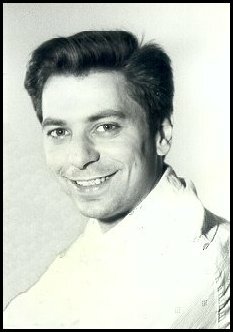 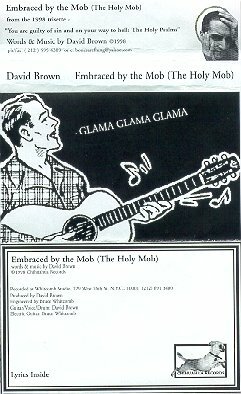 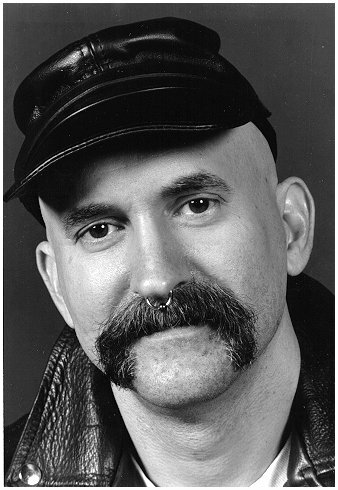 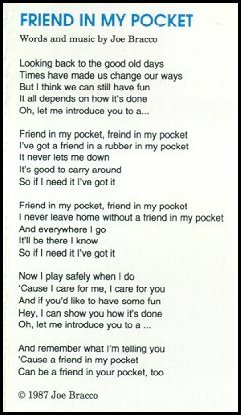 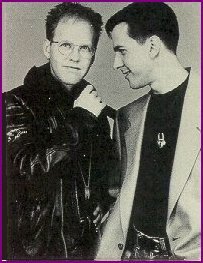 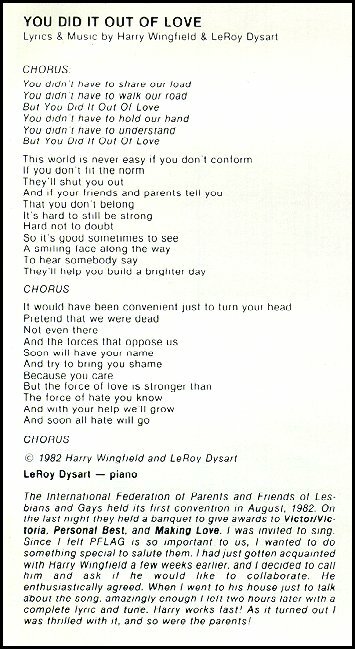 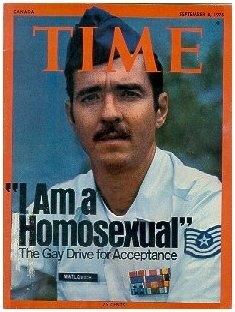 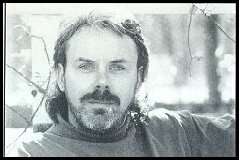 Below, LeRoy's song "A New Gay Dawning" was the theme song for the 1982 Christopher Street West (L.A.) Parade & Festival. 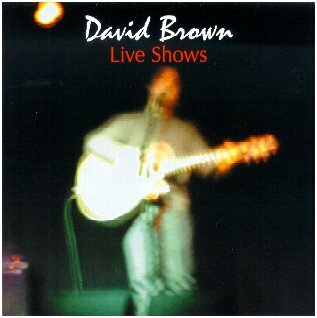 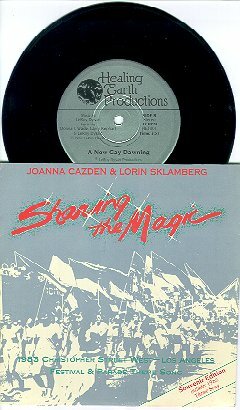 It was released on a 45, along with the following year's theme, "Sharing the Magic." 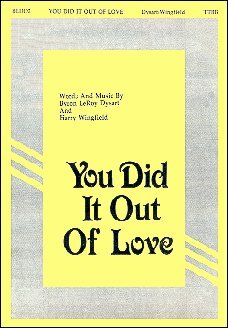 Click to hear "A New Gay Dawning"
Above and left: the song "You Did It Out Of Love" was written by LeRoy Dysart and Harry Wingfield as a salute to the organization PFLAG. 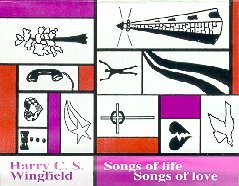 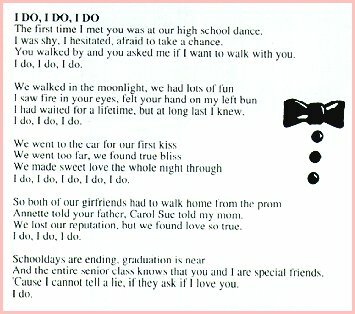 Below, thanks to LeRoy for loaning me Harry Wingfield's tape so that I could share with you "I Do, I Do, I Do"
Click to hear the unedited version. 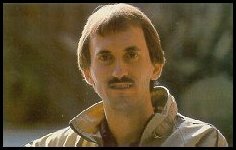 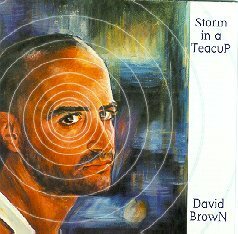 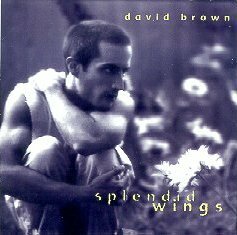 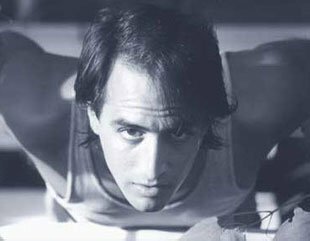 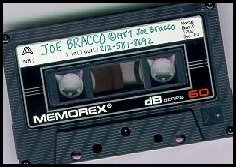 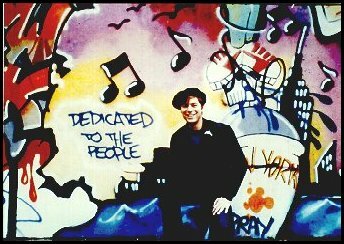 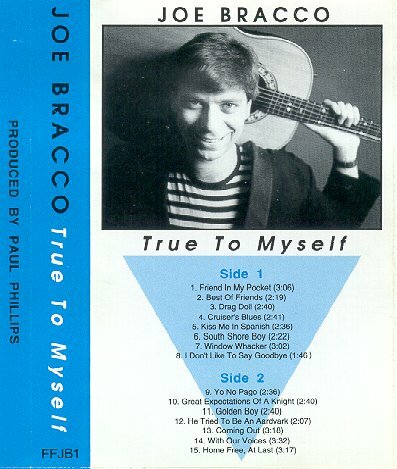 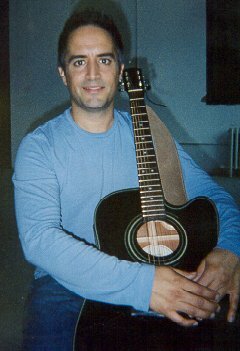 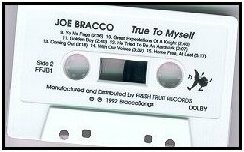 When Joe Bracco died of AIDS in 1991, at age 30, he fell short of realizing his dream of releasing his album. 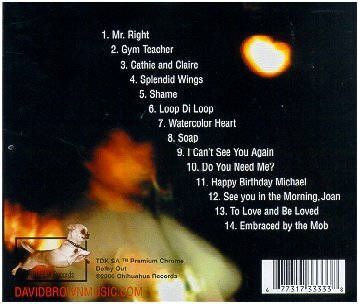 His good friend Paul Phillips (of Romanovsky & Phillips) used his studio and arranging talents to complete Joe's dream. 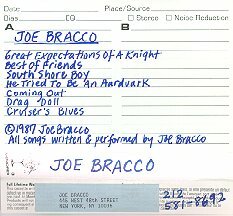 I am honored to have Paul share his memories of Joe and his music with us. 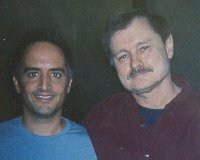 At the left in photo below is Paul, with Ron Romanovsky.